The story centres on four characters — members of the Urban Protection Agency (UPA) who are sent to investigate problems at the Real Meat factory (which produces an abundant supply of synthetic meat products). Strange goings-on at the factory are linked to possible gang/terrorist activities, and investigators already sent to the scene have disappeared. Our UPA team is in for a whole lot more than they bargained for. 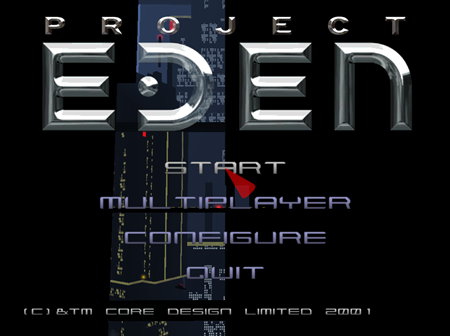 Project Eden was released on both the PS2 and the PC. Skip the PS2 version. 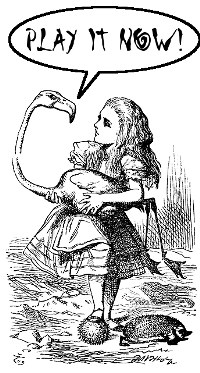 It is ungainly by comparison. 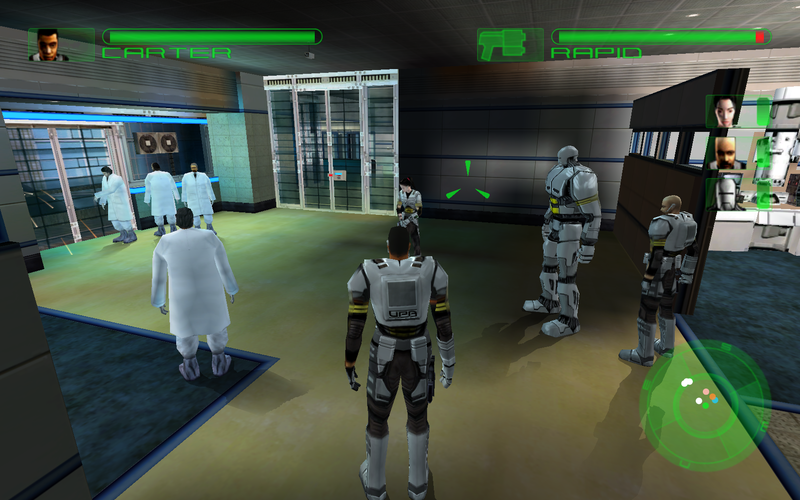 In this game, you will control the four UPA operatives, and are able to switch between each one at the touch of a key. 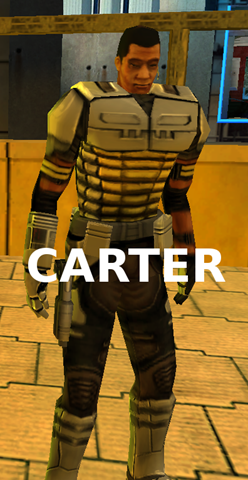 Carter is the team-leader. He’s no genius, but he gets the job done. His palm-print is registered in the city’s security databases. Doors open for him that are closed for others. Minoko is the team’s hacker, and may well be a genius, albeit a soft-spoken one. She can access systems where Carter’s palm-print is unwelcome. 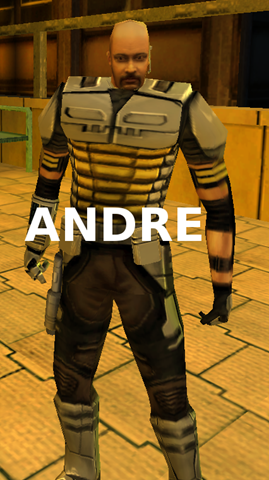 Andre is the flippant team-technician. If it’s broken, Andre’s a smart bet to fix it with his handy Omni-tool. 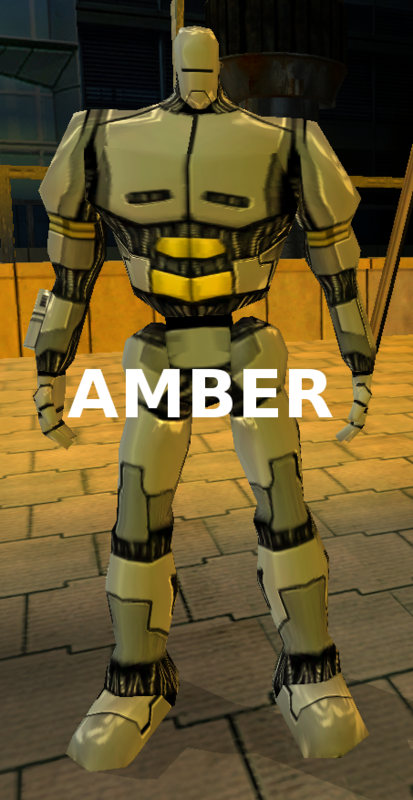 Lastly, there’s Amber. Little more than a teen, her brain was placed in a robot body after a severe accident. An enormous and well-armed and armoured cyborg, she can stride boldly where fleshy angels fear to tread, resistant to gas, extremes of temperature, electrical shocks, and a variety of unpleasantness. At any moment, you command one of the team members, and the others either follow you, or wait for you at your option. The game is played in third-person or first-person at your option. Third-person is generally preferable, as that extra awareness of your surroundings can be very helpful. Project Eden is part adventure, part puzzler, with no death-penalty. If a character’s health is depleted, they will be reassembled/regenerated at the last UPA regenerator that they passed. If things go awry you can always try again, or try something different. UPA rechargers are also scattered about. Most of what the team do, aside from the purely physical, consumes some energy. Keeping track of where you can get recharged is important. Often rechargers aren’t far from regenerators. The game starts out simply, with your controller back in headquarters feeding you mission objectives and information as you go. Initial tasks and obstacles are overcome using one or another team-member’s particular strengths or skills. Repairs and hacking each constitute a small mini-game which requires a little in the way of reflexes, but are fairly undemanding. You’ll be doing quite a bit of exploring through increasingly dystopian environments, but we all love that sort of thing, right? Later on, you will need to make increasing use of your team. 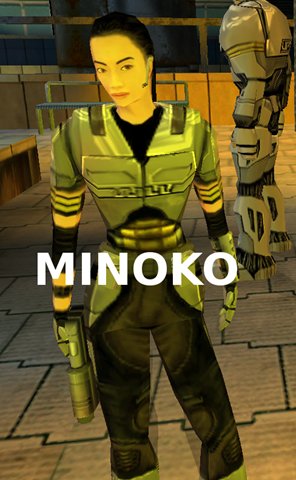 Minoko may need to hack and remain connected to a system to allow Amber to traverse a hazardous environment to hold a lever down, that allows Andre to pass safely to repair a broken system, that will allow Carter through to unlock a security-coded door, which will ultimately allow the team to proceed towards its objective. But it’s okay, we work up to that, and it makes sense. Such puzzles aren’t arbitrary in feel. They feel logical, and are an extension of the environment. That makes you feel less like you’re solving a puzzle, and more like you’re solving problems. That’s a very satisfying feeling, and that feeling’s multiplied by the fact that the problems are just hard enough. You might need a few goes at things (and some regenerations) to figure out a way to apply your team to move forward, but it is definitely worth it. During the course of the game you’ll also wind up with two remote drones. One that flies and one that rolls around on little treads. The flying drone has a limited range but can be used to scout ahead, explore inaccessible places and press buttons or manipulate other simple controls. You’ll also meet up with gangers, hostile animals and… other things. Combat will occur now and again, but isn’t really going to cause you that much of a problem. Partly because of the lack of death-penalty, partly because shooting things doesn’t require awesome precision or reflexes, and partly because the three members of your team that you are currently not actively controlling will open fire if they sight hostiles, and will do a generally good job of dealing with bad guys. Between messages from your controller, simple conversations with citizens, and events and circumstances as the UPA team descends further and further below ‘city limits’, the story begins to slowly unfold and a number of mysteries are revealed. It’s a solid story and a good adventure, and it wouldn’t go astray as a film. 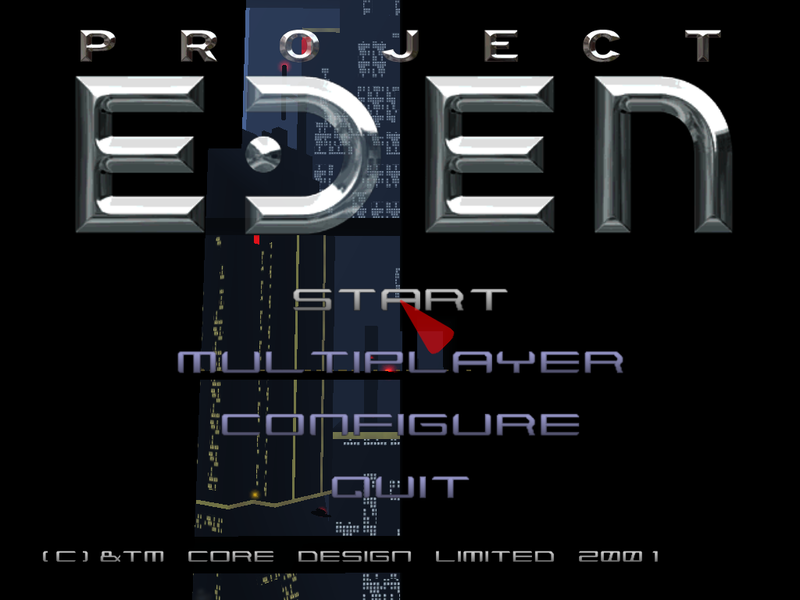 Project Eden’s graphics and sound system can stress some older PCs, but you don’t have one anymore, do you? Besides, it ran just fine on my 8-year-old PC. I just had to turn the graphic settings down a little. On a new shiny powerhouse system, you can crank those settings right up, and it’s wide-screen friendly (16:9 and 16:10) as well as full-frame (4:3). Now we get to the sweetest part of the deal. You and up to three of your friends can sit down and play the game each on your own PC. Just figure out who you want to control and share the spare characters (if any) among you. The game supports TCP/IP and IPX networking. There are occasional synchronization problems, but you can save the game and reload it if things go awry. Seriously, it’s awesome to play with friends. Every character gets their moment to shine, regularly, although the game won’t last nearly as long is it does if you’re playing it on your own. It’s just so much faster to explore and solve problems with a group. The v1.02 patch (which you’ll want anyway) fixes almost every issue the game has. You’ll definitely want to grab that. You can grab the full game from a variety of places online, or generally pay $10 or less (I’ve seen it for as little as $3) for one of the spares that your local game-retailer probably has. The full game install runs just fine on Windows XP and will only take about 500MB of your hard-drive space. This is a game that’s almost begging for a sequel. Surely there are other stories to be told. By “upper city” you don’t mean the current meaning of “uptown” and “downtown,” but that the city is stratified vertically like in the movie The Fifth Element? That’s it exactly. I’m not entirely clear on the usage of uptown/downtown anyway. They’re not terms that are really in use where I’m from.